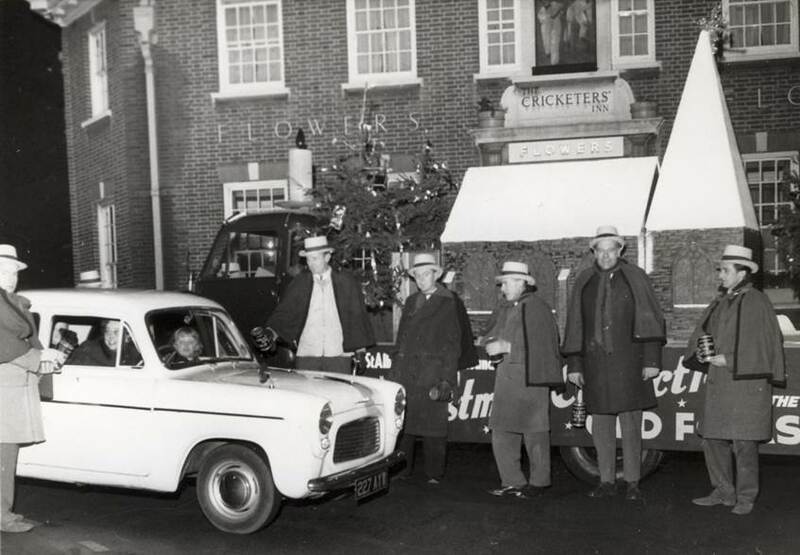 St Albans Round Table was created in 1949 and began what we now know as Santa’s Float, going around St Albans throughout December. At the time, the group had over 40 members, most working locally. The group started the Christmas float which we now have as a fine and much loved tradition. Over 60 years later and the tradition is thankfully still intact. The members of the St Albans Round Table, now numbering only 8, often working in London, continue to run and organise the float to go out a record 18 times in December helped by 13 local charities. Despite the dwindling numbers, we manage to raise staggering amounts of money to distribute to local causes – over £17,000 in 2016! The Christmas float is a 1969 milk float which takes a lot of TLC to keep running safely. A few years ago, failing batteries routinely caused routes to be abandoned halfway or cancelled altogether. With a lot of work from the members throughout the year, the float is now more reliable than ever and even has reversing parking cameras! Every year in December we spend time preparing the float and moving it into position. The St Albans Round Table members then take turns to drive, guide and help on all routes. This often means having to leave work early or abandoning family evenings several times a week, to ensure that things run smoothly and that the local charities can benefit from the collections – a vital source of income for them. Thanks to technology and some development by one of our IT wizard members, the detailed routes were published for the first time a few years ago on our website. Now we even have a street look-up and a live Santa Tracker. While this is great to get prepared and excited about Santa’s arrival, we realise that it creates expectations. Sadly, sometime we cannot meet the expectations: volunteers are hard to find in these cold, dark and often wet nights and consequently routes might not be completed as our licence only allows us to collect until 9pm. So, please, bear with us and come and meet Santa by finding him on the tracker if he cannot come down your street. More importantly, please continue to smile and to be so generous to our lovely volunteers who leave their family for the evening, brave the cold to bring a bit of joy around our city and support their local causes. Lastly, spread the word and help us recruit new members to ensure that this tradition will not be in danger of dying out.